The Congressional Budget Office (CBO) in December 2013 presented estimates on “the distribution of household income and federal taxes in 2010.” The 2010 estimate was released in 2013. 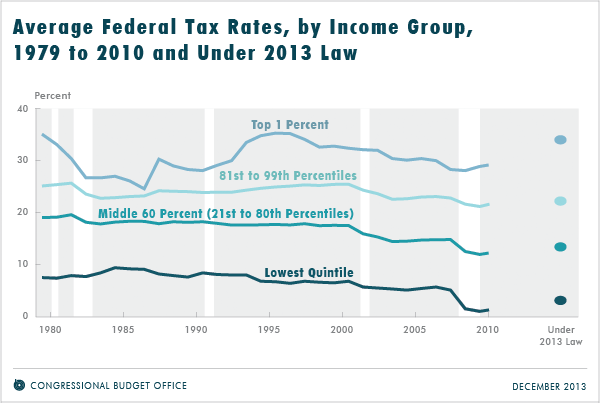 The bottom 20% of income earners had an average tax rate of 1.5%. The top 20% of income earners had an average tax rate of 24%. The bottom 20% of earners received 5.1% of before-tax income, and after paying taxes, they received 6.2% of after-tax income. The middle 20% of earners received 14.2% of after-tax income and 15.4% of after-tax income. The top 20% of earners received 51.9% of before-tax income and 48.1% of after-tax income. 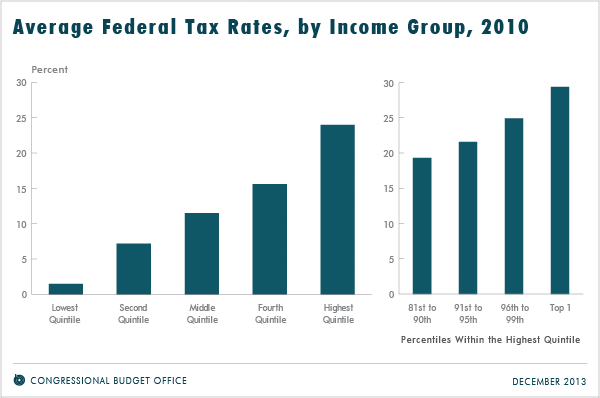 The top quintile is projected to experience average tax rate increases by 4.2 percent. 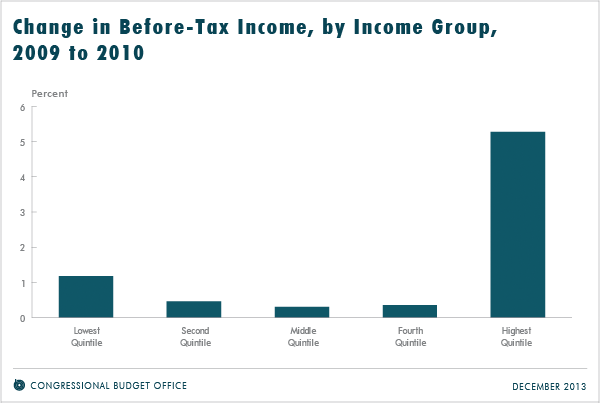 To read the entire report, click on The Distribution of Household Income and Federal Taxes, 2010.